Southwest Airlines in partnership with Discovery Channel launched a Shark Week Fleet this morning with five aircraft entering the Southwest® network of 99 destinations and operating more than 4,000 daily flights. The five aircraft celebrate the 30th anniversary of Shark Week, one of the most popular and longest-running televised events in history. 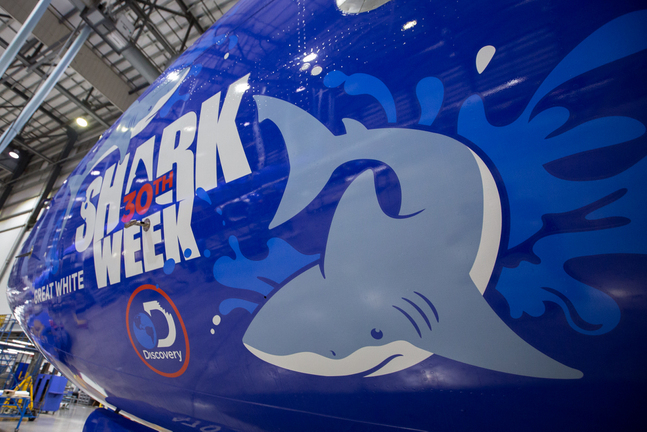 Each aircraft proudly displays custom artwork featuring a species of shark often showcased in a Shark Week episode. The Great White Shark and Hammerhead Shark aircraft launched from the carrier's home base of Dallas Love Field (DAL); the Tiger Shark aircraft launched from Chicago (Midway) (MDW); the Bull Shark aircraft launched from Houston (Hobby) (HOU); and the Mako Shark aircraft launched from Phoenix Sky Harbor (PHX). 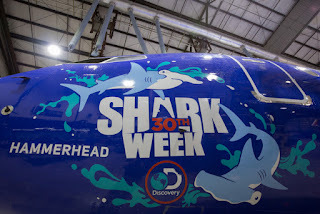 Customers can visit FlightAware.com from a desktop device to track the Shark Week Fleet via custom-created shark icons, which have replaced the site's traditional aeroplane icons. 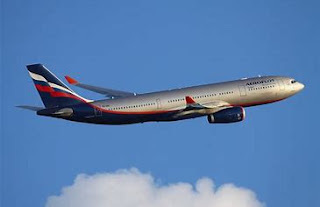 To see past and future shark flights, Customers can search FlightAware.com by each aircraft's tail number: Great White Shark (N470WN), Hammerhead Shark (N705SW), Mako Shark (N961WN), Tiger Shark (N553WN) and Bull Shark (N947WN). The information page for each shark-themed aircraft will showcase a custom Shark Week logo. 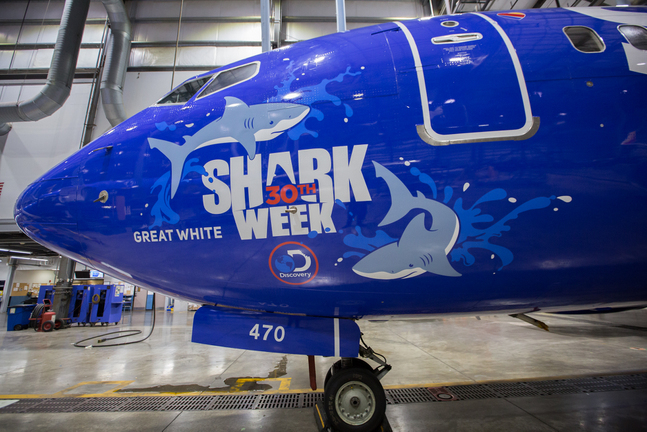 We encourage our Customers and Aviation Enthusiasts to share their plane-spotting photos of our Shark Week Fleet with @SouthwestAir using the hashtag #SharksTakeFlight.